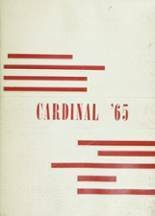 Listings of high school yearbooks for Orting can be found below. You will find former students who are seeking yearbooks, those looking to sell a yearbook and general yearbook requests among the OHS yearbook listings. This yearbook section was created to help alumni post yearbook classifieds. Don't forget to upload your Orting High School pictures and check on the latest info about any Orting High School reunion. Looking for a 1980 Orting High School yearbook. This was my Senior year at good ole Orting High! I have my Freshman, Sophmore and Junior yearbooks, but, because of a divorce, I do not have the4 most important one. Name your price... Thank you in advance for any help with this.